A lot of challenges await Pakistan team this year after a dissatisfying 2018. 2018 was not so great for Pakistan in the ODIs and Tests, two demanding formats of the game. Having said that their improvement and remarkable progress in the shortest format can’t be undermined by any means. 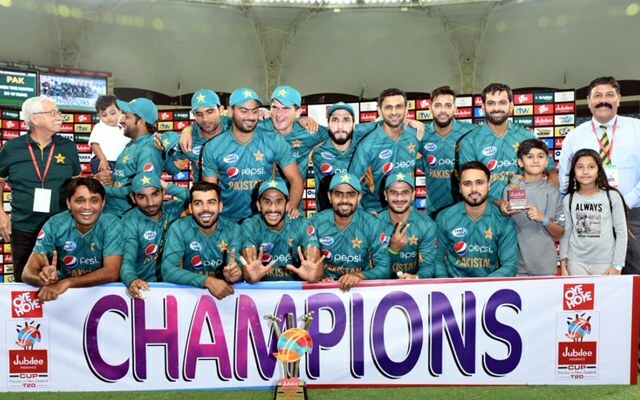 The Men in Green won almost every T20 International series and are sitting pretty at the top of the ICC rankings at the moment. But with the slide in the other two forms, they couldn’t end the year on a perfect note. 2019 comes with a lot of hope for the Sarfraz Ahmed-led side. They are currently on a tough South African tour and have already lost the Boxing Day Test. But Pakistan will be hoping for a resurrection in the New Year Test. 2019 brings a lot of challenges for the team and one of them is the World Cup, the showpiece event in the cricketing calendar. The fact that it will take place in England make the Pakistan fans even more hopeful having won the Champions Trophy in the same country in 2017. But their slide since the Asia Cup last year has been a glaring one and will need a remarkable improvement to triumph in the 10-team event. Apart from the ongoing three-match Test series, Pakistan will face the Proteas in five ODIs and three T20Is as the tour will conclude on February 6. After a gruelling tour, there is a small break for them from international cricket. Though all the players will get involved in playing the Pakistan Super League (PSL) which will commence on February 14. After the T20 league, Australia is scheduled to tour for a limited-overs series in March, the dates of which are yet to be finalised. After a certain cooling period from the highest level due to the Indian Premier League (IPL), Pakistan’s stern period starts as they will be touring England for five One-Day Internationals and a solitary T20I before the World Cup begins. The Champions Trophy holders will start their campaign with a game against the Windies on May 31. According to the ICC’s FTP, the post World Cup period will see them taking a close to the two-month break. There is no cricket scheduled for Pakistan in August and September after which they will host Sri Lanka in October for two Tests which are a part of the World Test Championship. The island nation will once again come back in December for a limited-overs leg of the tour. Meanwhile, Pakistan will travel Down Under for two Tests and three T20Is in November which will sum up a challenging 2019 for them.